Dancing releases a magical sense of well-being to the mind, soul, and body that is incomparable to most outdoor activities. Dancing is well known for its fun nature but also as a great way to stay fit. Dancing releases a magical sense of well-being to the mind, soul, and body that is incomparable to most outdoor activities. In this regard, there are many forms of dancing that one could engage in. If wondering what form of dancing is the best, the answer is ballet dancing. Engaging in ballet dancing has several reasons. Not only does a dancer benefit physically but they also acquire life’s most invaluable skills. Learning ballet at an early age is more preferred because, at a young age, one’s muscles are more flexible. However, ballet dance can also be learned at old age. One of the life’s invaluable lessons that ballet dancing teaches is confidence. Notably, enrolling in a dance class will shape up one’s body. It is no coincidence that majority of ballet dancers are in what may be argued as perfect body shapes. Undoubtedly, a person’s body shape and appearance play a big role in boosting their confidence. This is because how a person’s views their image directly affects self-perception. In this regard, persons of certain body sizes tend to dislike their appearance and therefore appear shy and of low self- esteem. Enrolling in a ballet dance significantly helps cut down on weight and achieve the ideal body shape and size due to the vigorous exercises involved. Virtually everybody muscle is engaged during the dance as ballet dancing involves aerobic and anaerobic activities. Learning confidence is acquired in ballet dancing because ballet instructors are professionally trained to recognize the lack of confidence at first instance and correct this feeling. Some of the signs of lack of confidence in a ballet dance class are, sweating, diarrhea, shaking and fast heartbeat. Moreover, the ballet dance instructors have the skill to tell when one’s lack of confidence should be addressed and corrected through other avenues say by attending counseling sessions. Moreover, ballet dancers will ultimately learn confidence more so where the ballet dancers perform in front of wall-to-wall mirrors as is common. They are therefore able to watch their bodies more and appreciate them more. Notably, people of low self- esteem can barely stand in front of a mirror to look at themselves. Besides, most ballet instructors will prefer their students to be in tightly fitting clothes as opposed to the loose attire. The tight attire tends to reveal a person’s body shape and size more. As a misconception, ballet dance has in the recent past been criticized for causing low self- esteem and lack of confidence in adolescent girls. There have been two primary reasons for this scenario. Some experts are of the idea that perhaps this might be because ballet instructors are always exerting pressure on the students to be of a certain body size and be perfect. 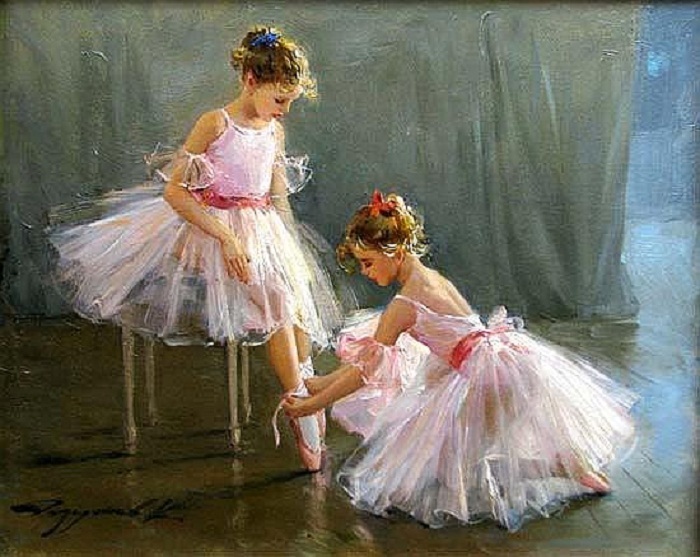 Whereas the pressure may be negative in the beginning, in the long run, ballet students learn confidence because they are taught to take such opinions positively. Moreover, as a technical dance, mistakes and miscues are inevitable. Through the constant mistakes, dancers learn to cultivate self- confidence which works not only works for the dance but also other areas in their life. The ultimate confidence is instilled when a dancer reaches the point they feel they are dancing well or after having a successful performance. Choreographers and instructors are particularly handy in ensuring that their students learn to lift themselves up even when they repeatedly make mistakes. Notably, when ballet students are not keenly watched, the constant miscues may hurt their confidence. The ballet instructors also play a big role in instilling confidence in students by constantly affirming to them that they can make it and use other positive statements. Furthermore, there has been evidence to show that even persons of bigger body sizes make good ballet dancers. Finally, ballet dancing instills confidence, as students can see the positive results of their hard work first hand. The dance can be best described as one involving geometry, physics, and one that allows dancers to express their creativity. In the end, dancers can see the results of their creativity. For instance, whereas one partner may use one approach to be on toe points another dancer may have their easy approach to getting a toe point. Creating and seeing one’s creation is the ultimate boost of one’s confidence. You might be interested in our Jazz dance classes & toddler dance classes.